After its campaign was suspended on Kickstarter, Dot has found its way onto Indiegogo with a new crowdfunding campaign. Dot managed to raise $300,000, that's 10 times the original goal, on Kickstarter before its account was suspended three days ago. So it's interesting that the campaign is now on Indiegogo and 143% funded after just two days. At 0.54-inch in diameter and just 0.83-inch in length, the Dot is dubbed as the world's smallest Bluetooth earbud. It's available as a single earbud - Dot Mono - from an Early Bird price of $59 or as a pair, Dot Stereo from $79. 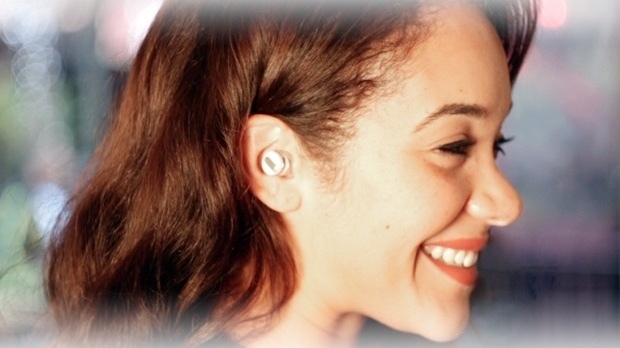 When you dig past the confusing battery stats, you see the aluminium and polycarbonate hearables appear to have a battery life of one hour listening to music and one and a half hours of calls, being able to wirelessly charge the buds with the aluminium carry case up to six times for a 6 - 9 hour total battery life. Weighing in at just 3.5g, that sounds impressively light and features a single button to answer and end calls as well as an LED indicator. There's no mention of voice controls so we assume this isn't on the cards, as with the Moto Hint. Despite the self-generated hype of the crowdfunding page, the Dot earbuds appear not to be the creations of So Special Labs or Ivan Kan, instead they've actually been around for a while via a Chinese bulk exporter. So Special Labs says it "never claims to be the original creators behind Dot," saying that the funding was for "setting up quality controls for manufacturing." Commenters have even pointed out that the Chinese earbuds are selling for as little as the equivalent of $16. As with rebranded Chinese devices in the past, with prices pretty low and the problem of customs costs taken care of, many backers might not care who makes them as long as the Dot earbuds work. Then again, there's the rub. There's no guarantee with crowdfunding campaigns and the Dot earbuds are probably not worth the risk. The Dot campaign is still live on Indiegogo right now if you are still interested.